Frank-Walter Steinmeier says 'there is no sign that anyone wants to go beyond' the time frame set for talks. Germany and the UAE expressed hope Saturday that Iran and the P5+1 world powers will reach a permanent diplomatic resolution to their nuclear dispute in two months' time. Sheikh Abdullah Bin Zayed Al Nahyan, Foreign Minister, told a news conference held in Abu Dhabi with his visiting German counterpart, Frank-Walter Steinmeier, that it was hoped an agreement will be reached within the next two months, to be followed by an interim period of six months to test the credibility of both Tehran and the international community. 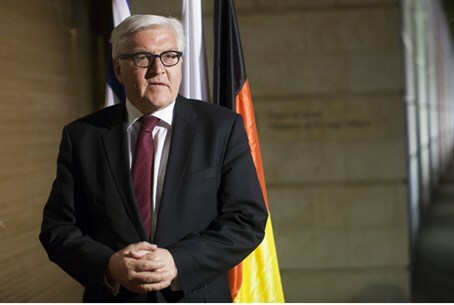 Gulf News reported that the German Foreign Minister said that the fact that the talks with Iran had continued over the past months had boosted hopes that a permanent deal, which assures all countries of the region that Iran will not develop nuclear arms, will be reached in due course. The remarks in Abu Dhabi come ahead of a new round of talks in Vienna on June 16-20, between Iran and the P5+1 powers – Britain, China, France, Russia, the United States and Germany. Three days of meetings two weeks ago made no "tangible progress," and a July 20 deadline for a conclusive agreement looms on the horizon. "Regardless of the general situation which makes cooperation between the US and Russia difficult in some areas at the moment, the negotiations on the Iranian issue have certainly gone further," he said. "In recent weeks and months they were so encouraging that we maintained a chance of reaching an agreement," Steinmeier added. "Whether these negotiations can be completed within the agreed time frame cannot be said at the present time," said Steinmeier. "Anyway, there is no sign that anyone wants to go beyond that time frame." Differences between Iran and the P5+1 reportedly include the scope of Iran's enrichment of uranium, which if further purified could be used to trigger a nuclear explosion, and its unfinished Arak research reactor, whose by-product waste could provide an alternative route to an atomic bomb.